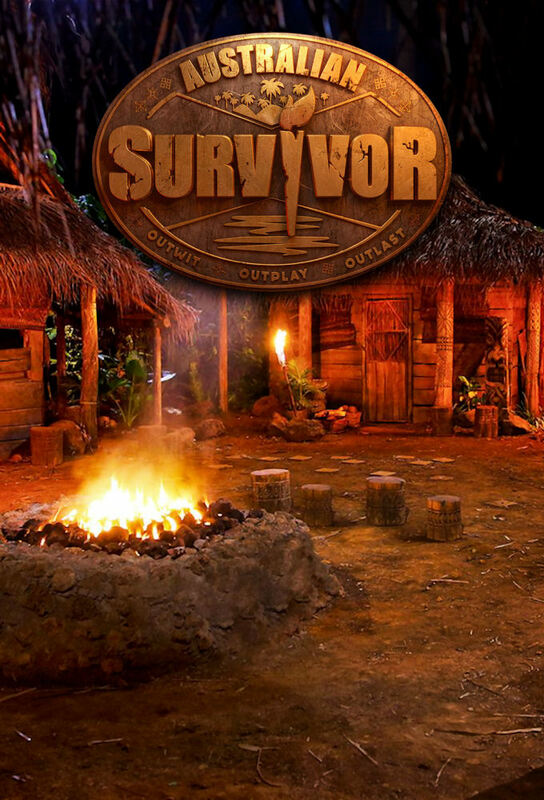 Australian Survivor was a television series based on the popular reality show "Survivor". The series was filmed in November and December 2001 and aired weekly from 13 February – 15 May 2002 on Australia's Nine Network. It was set at Whaler's Way, an Eyre Peninsula coastal nature reserve in Port Lincoln, South Australia in the Great Australian Bight, where numerous ships had sunk off the coast in the past. This set up the nautical theme of the series. The game starts to become very real for the Survivor castaways. The reality of having to catch their own food and create a liveable shelter becomes top priority in camp. The Champions have made their mark, but don't underestimate the Contenders...Plus, Survivor's biggest hero has become the biggest threat. After a surprising tribal council result, some castaways realise they're on the outer and start to scramble to make alliances within their tribe. The twist in the previous game has one tribe torn and plotting new strategies to kick out one of the biggest competitors in the game. The game steps it up a notch when two castaways who have been on the edge of their team come face-to-face in front of their tribe. Just as the Survivors are getting comfortable, everything changes during a tribe swap. Champions become Contenders and Contenders will become Champions. As the game is heating up with a merge, some Castaways are starting to struggle, while others are just beginning to orchestrate their big moves. One of survivor's biggest threats will be cut loose! It is Survivor Auction time! The hungry Castaways are given $500 each to enter into a new kind of battle where food is the hottest property in town. Mat and Robbie have faced off time and time again? but now is it time to send one of them home? Tune in for a Survivor show-down. The survivor end game is getting closer. Hold your breath! Contenders will rise and Champions will fall. The big players make their move. The end game is getting closer and the scramble for survival more desperate, sparking the hunt for idols. Later, at a massive Tribal Council, one player's confidence just might cost them the game. After an unexpected result at Tribal Council, the Castaways' Camp is a hive of animosity and distrust. Hard truths come to the surface and split the opinions of the tribe. With only seven castaways that still remain, the game's power rests with one and it's not who you think.. What Monica is about to do next really shakes things up! With bitter grudges in play, victory at an immunity challenge has never been more important. At Tribal Council, accusations fly as some tribe members are accused of being carried through the game. As the game is coming close to the end, the taste of victory is closer than ever! Trust between the castaway's is at an all-time low and a bold move is made by a player to gain further power. As the pointy end of game closes in on the remaining five castaways, one player seeks revenge following last night's Tribal Council. With only a few days left in the game, physical strength dwindling and emotions at an all-time high, the castaways are granted an opportunity for immunity, thus securing their place in the final three. After 50 testing days, the remaining three castaways can finally see and feel the eagerly anticipated finish line ahead of them, with one of the greatest battles for immunity in front of them. The final two make their plea, with the Jury to vote on who will be crowned the title of Sole Survivor & win $500,000. Then, all 24 castaways reunite for an explosive & exciting reunion.